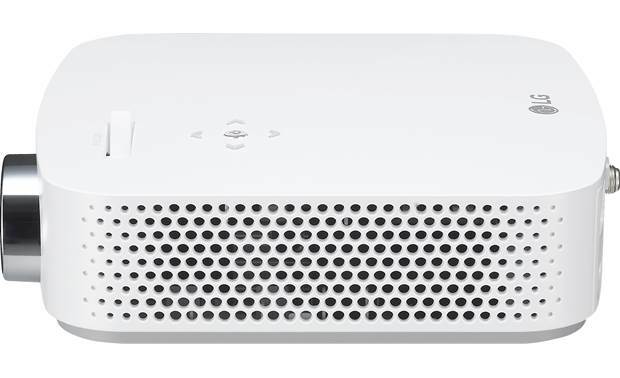 LG's versatile little PF50KA projector produces bright, crisp images for work or play, at home, in the office, or on the road. You can project your videos, photos and apps wirelessly from a compatible smartphone, tablet or laptop. And the built-in battery means you can project almost anywhere for up to 2-1/2 hours. Two HDMI inputs are provided for your high-def video sources, and there's also a standard PC input. Use the standard USB input to connect your camera or a thumb drive. A USB Type-C port gives you another way to enjoy high-quality images from compatible devices, as well as laptop/mobile device charging over a single cable. For the best picture quality from any projector, we recommend using a projector screen. 1080p Projector: With the LG CineBeam PF50KA projector, you can watch your TV shows and movies in true 1080p high-definition resolution with sharpness and detail. The picture remains lifelike and text is crystal-clear when displayed at up to 100" (16:9 aspect ratio). LED Lamp: This projector's light source is a powerful LED lamp that enables a large, detailed image and will provide years of reliable service (up to 30,000 hours). The LG CineBeam Series projector has a brightness level up to 600 lumens and a 100,000:1 dynamic contrast ratio. Dual HDMI Inputs: The LG CineBeam PF50KA projector is equipped with two HDMI 1.4 inputs which can be used to connect a Blu-ray player, satellite/cable box, game console, or computer. Both HDMI inputs support video signals of 1080p, 1080i, 720p, and 480p. Note: The LG CineBeam PF50KA is not 4K or HDR compatible. The projector is not equipped with any analog video inputs. 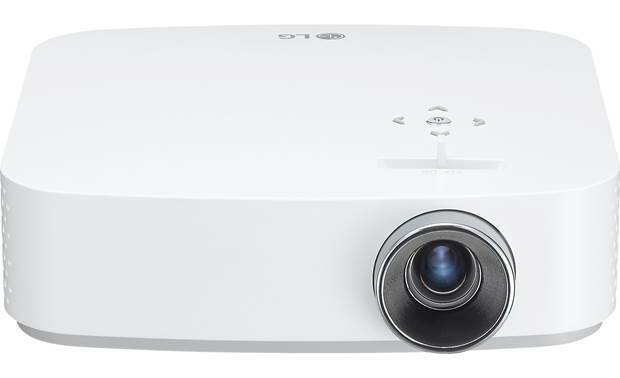 Picture Settings: The LG CineBeam PF50KA provides preset, user, and expert adjustment of the projector's picture settings. 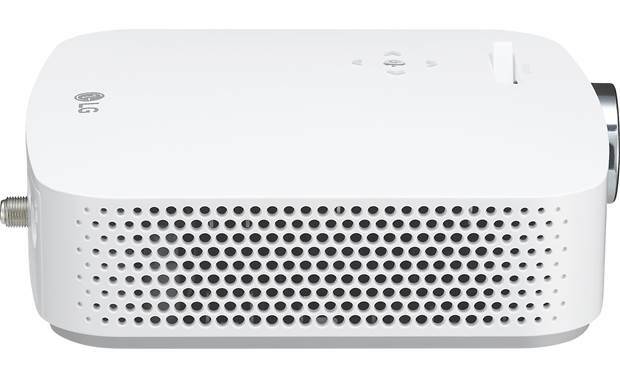 Built-in Speakers: The LG CineBeam PF50KA projector is equipped with a built-in two watt amplifier and stereo speakers for sound without the connection of external speakers. The audio from the TV tuner, HDMI inputs, LG Content Store apps, and USB ports can pass as Dolby Digital Plus, Dolby Digital, DTS, or 2ch PCM. Bluetooth Audio Streaming (LG Sound Sync): Thanks to the projector's LG Sound Sync and built-in Bluetooth 4.2, you can pair a single set of Bluetooth headphones, one Bluetooth speaker (including a soundbar), or a pair of Bluetooth speakers with the LG CineBeam PF50KA. You are able to stream audio from any of the built-in sources or connected sources. The built-in speakers and audio outputs will be deactivated when streaming audio to a Bluetooth headphones or speaker. The Bluetooth audio output's volume is variable, so volume of your Bluetooth speaker will need to be controlled by both the projector and the Bluetooth speaker for adequate volume level. You can also wirelessly connect a Bluetooth source device (such as your smartphone or tablet) to play audio from your Bluetooth source device through the projector's speakers. Analog Output: The projector is also equipped with an analog output, consisting of a 3.5mm jack, which lets you connect an AV receiver, soundbar, or set of headphones. You can choose to have both the built-in speakers and the analog output active at the same time, or have the speakers turned off. 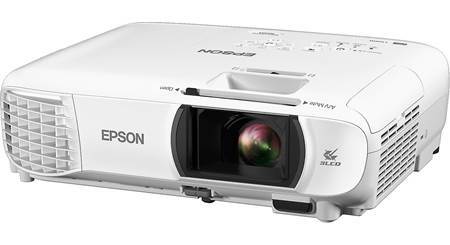 Note: The projector is not equipped with an optical (toslink) digital output. 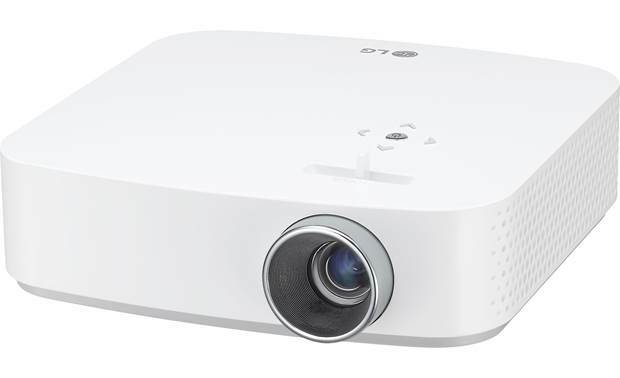 Wired or Wireless Network Connection: The LG CineBeam PF50KA projector supports a wired or wireless network connection via its Ethernet jack or built-in WiFi. Via the projector's network connection and your internet provider, you can enjoy select online entertainment services. You can also access music, video, and still-image files stored on your computer, smartphone, or tablet. It even supports WiFi Direct, so you link wirelessly to a WiFi device without a router. 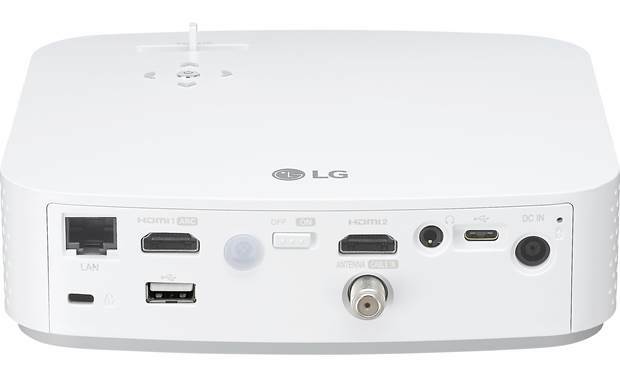 LG Content Store: LG Content Store allows you to access a variety of online entertainment services and content directly on the LG CineBeam PF50KA projector through its network connection and your internet provider. You can quickly and conveniently browse for TV Shows, Movies, and more. You can also download and use apps from various categories such as entertainment, lifestyle, news, education, and games. Click here for the latest compatible apps (subscriptions & fees may apply for some online services and content). Below is a list of some of the most popular apps from the LG Content Store. TV Shows, Movies, & Videos: The LG projector offers access to select online services (like Netflix, Hulu, YouTube, & YuppTV ) that let you enjoy your favorite TV shows, new blockbuster movies, and other video content. Depending on the online service, video content is available in different video formats - including Standard Definition (SD) and High Definition (HD). Music & Radio: Listen to your favorite Internet Radio stations and online music from iHeartRadio, SiriusXM, and more. 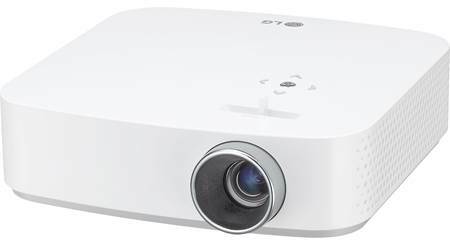 USB Inputs: The LG CineBeam PF50KA projector is equipped with a USB (type-A) input for connecting a USB MSC device (such as a USB thumbdrive), and a USB (type-C) input for connecting select Android smartphone/tablet devices and Mac computers/laptops. USB-A: The projector features a USB-A port for playback of a variety of video, photo, and audio files stored on a USB MSC (mass storage class) device, such as a USB thumbdrive or HDD. It can can support USB external hard disc drives (up to 2TB) and USB mass storage class devices (up to 32GB). The USB storage devices must be formatted as FAT 32 or NTFS file system. This port can also be used to charge USB-enabled mobile devices (rated at 5V/0.5A). Hard disk drives will require a separate power supply. USB-C: The USB-C connection allows audio/video transfer from select Android smartphone/tablet devices and select Mac computers/laptops that feature a USB-C port. It will also charge your mobile device during charging (rated at 5V/1A). Video: AVI/Xvid, MPEG 1/2/4, MKV, MOV, WMV, & Vob. Remote Control: The included IR remote control provides full wireless operation of the projector (except for manual focus which can only be done from the controls on top of the projector). When using the remote control, the optimal operation range is 19.6' or less (left/right) and within a 30° of the IR receiver on back of the projector. There are also basic control functions found on top of the unit; including Power On/Off, Menu/Source, Volume Up/Down, and Channel Up/Down, as well as a Focus Ring. Instant Play: When you start a HDMI-CEC compatible device which is connected to the projector via HDMI, you can immediately watch content from the device through the projector without having to control anything else. Screen Size & Throw Distance: The distance between the projector and your screen (sold separately - see Accessories Tab) determines the actual size of the image. Once the image appears on the screen, use the projector's Focus Test function and the Focus Ring on top of the projector to optimize focus. 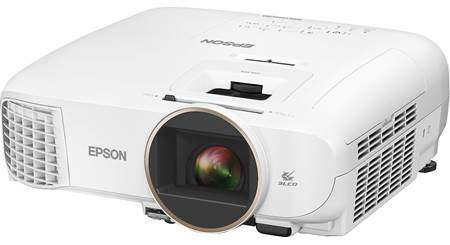 Position the projector so that the lens is at a right angle to the screen. If the projector is not at a right angle, the projected image will look distorted. To correct the distortion, use the Keystone function. Auto Keystone provides a rectangular screen image by automatically adjusting the keystone number when there is a trapezoidal screen image caused by tilting of the projector. You can also use the PJT Mode to turn the projected image upside down or flip it horizontally. 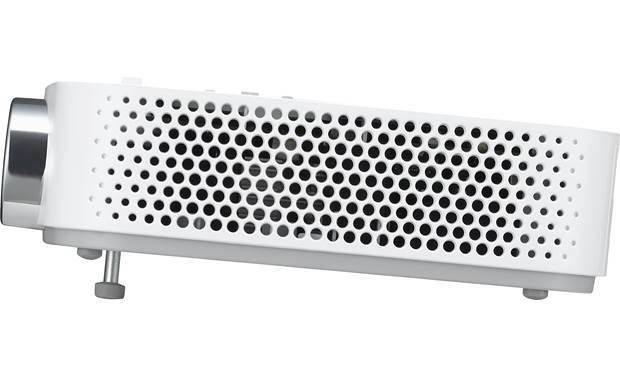 Mounting Options: The LG CineBeam PF50KA projector can simply be placed on a stable flat surface; such as a stand, desk, tabletop, or piece of AV furniture. The PF50KA can also be attached to a tripod using the 1/4"-20 threaded insert on the bottom of the projector (make sure the tripod can handle a maximum weight of 6.6lbs or more). Make sure to place the projector in a well ventilated environment, leaving adequate open area (11.8125" or more) around the projector. 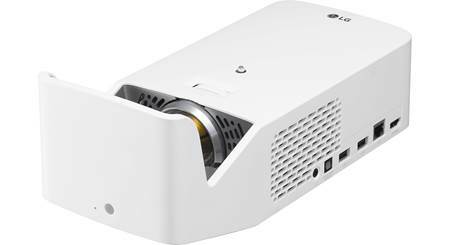 Power Requirements: The LG CineBeam Series projector can be powered using its rechargeable battery (12000mAH) or the included AC power adapter. The battery provides up to 2.5 hours of playback time (may vary depending on usage). The battery will be automatically recharged when the projector is connected to AC power using the included power supply. Charging time is approximately 3 hours. The projector will display an on-screen message if the battery is getting low. The battery can be replaced and a new battery can be ordered through LG Electronics Customer Support Center. Note: The Energy Saving feature helps to save electric and battery power by adjusting the screen brightness; you can select from 3 modes - Minimum, Medium, or Maximum. If the battery is low, the Energy Saving mode will automatically changed to Maximum. Cooling Fan: The LG projector utilizes a built-in fan to keep it running cool. It has a fan noise level of 23dB (economic), 24dB (normal), or 30dB (high brightness). 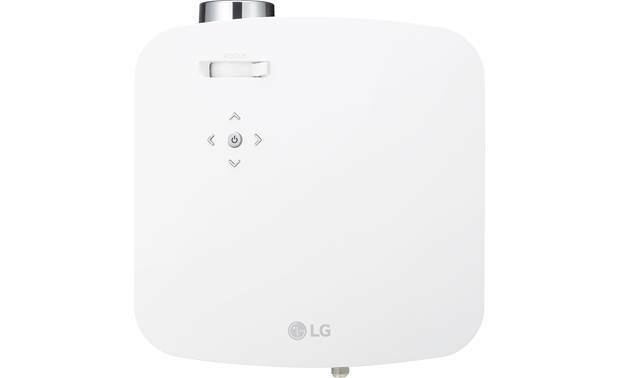 Searches related to the LG PF50KA Portable DLP 1080p smart projector with Wi-Fi.